Remove any excess dirt & soil from area first before use. Spray generous amount of 20/20 Swipe on material to be cleaned. Use another clean, soft, dry cloth to bring plaster to a high luster. 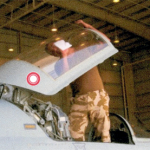 A polish created for aircraft plastic windows. 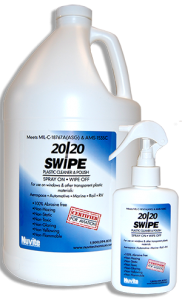 20/20 SWIPE Cleaner & Plastic Polish is a favorite of helicopter pilots, boaters and motorcyclists. It’s easy spray on / wipe off application quickly wipes away oil, removes grease and soil as well as bird droppings and insect carcasses. What’s left is a streak free, clear surface. It cleans without scratching and therefore will not affect painted surfaces. Polishing frequently with 20/20 SWIPE provides other benefits also. Besides protecting from hazing as a result of UV light and discoloration, it also deposits an anti-static barrier. 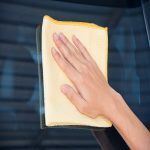 Even more prohibits dust, ash, lint, and other atmospheric particulates from clinging to the plastic surface. Keep in mind: When using any NUVITE product, please refer to appropriate procedures and recommendations for use and equipment, or contact a NUVITE technician for more information, unique applications and special requirements. *Product dilution where applicable is determined by extent, condition & soil type.